Awesome capture of this lovely girl! 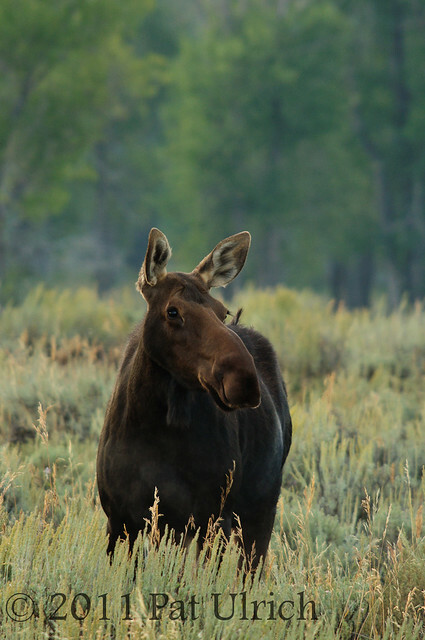 Moose when you really look at them seem like a goofy collection of different animal parts yet they still have a beauty all their own. Lovely shot, Pat! Hope you got some fun ones of the calf, too. great shot with nice details ! This is such a beautiful capture! Absolutely beautiful! I can never get enough of your photography . . .